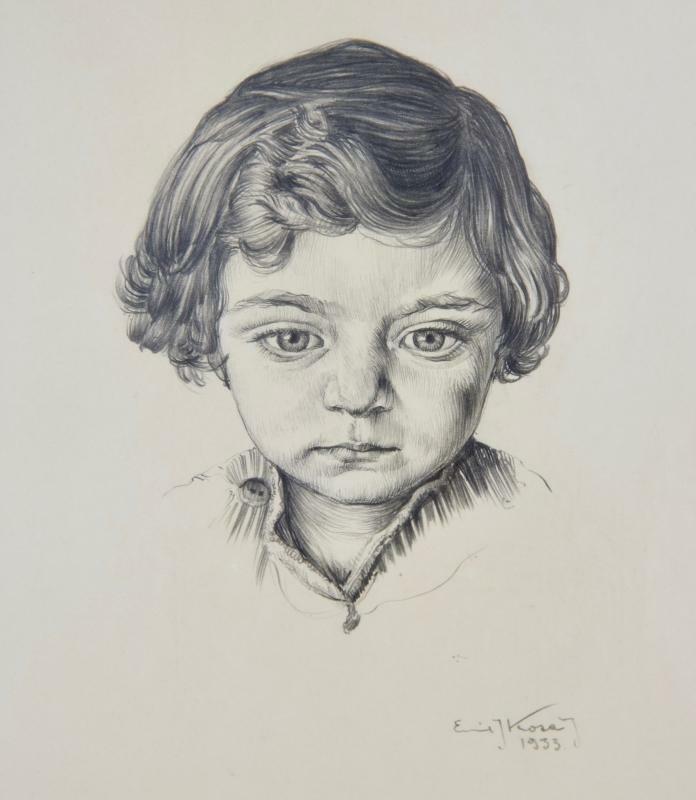 Original Pencil Drawing by renowned Plein Air artist, Emil Kosa Jr. 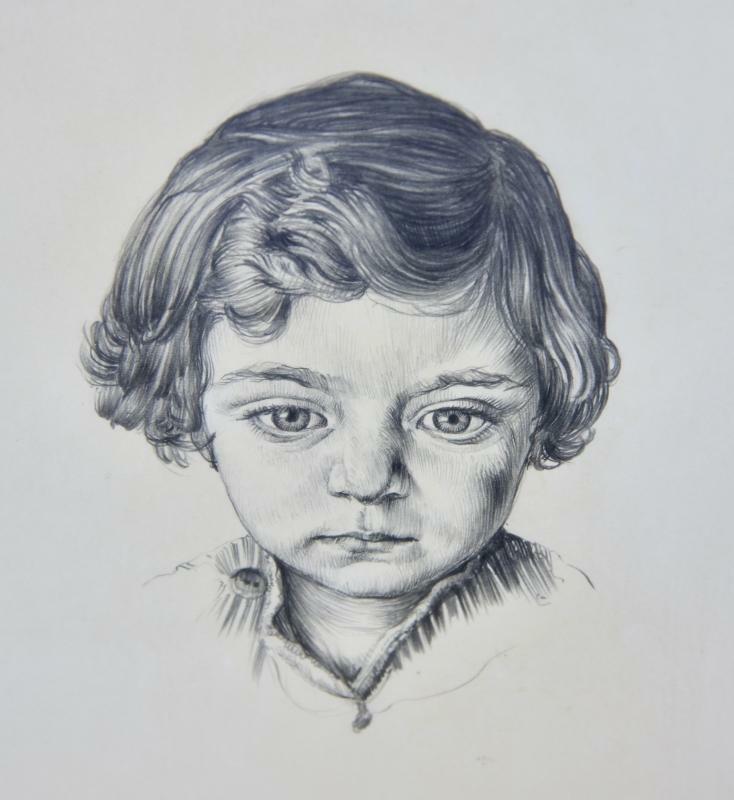 This drawing features Kosa's daughter Lillian at age 3. 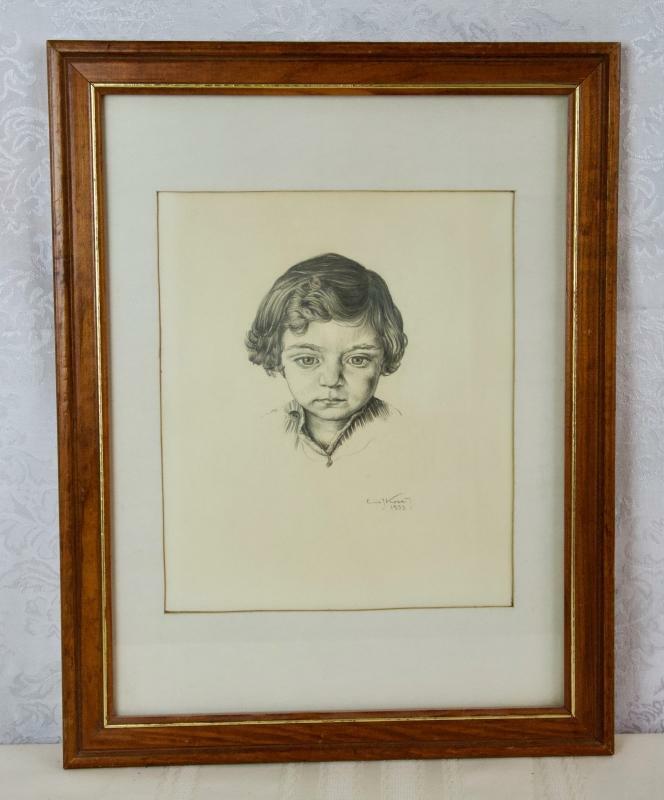 Frame size - 18" by 14"
Art size - 10.5" by 9"
Emil Kosa Jr. (November 28, 1903 – November 4, 1968) was a French-born American artist. He was the art director of 20th Century Fox's special effects department for more than three decades, winning an Academy Award for Best Visual Effects along the way. As a painter of landscapes and urban scenes, he also became known as a prominent member of the California Scene Painting movement. 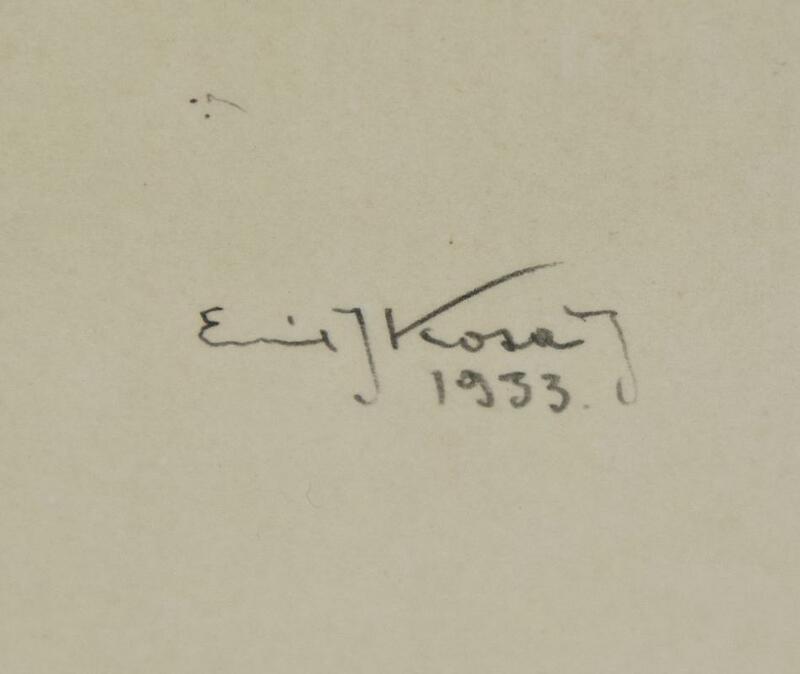 Items Similar To "ORIGINAL EMIL KOSA JR. GRAPHITE (pencil) SKETCH"